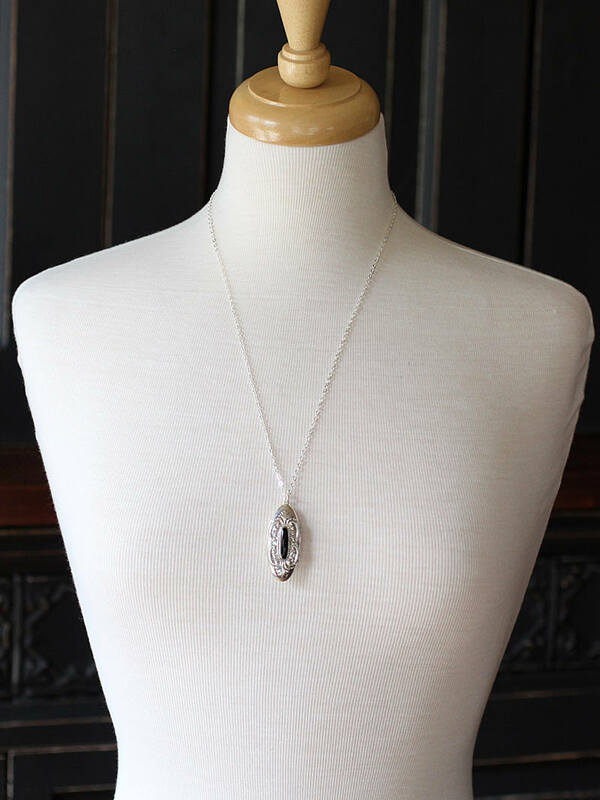 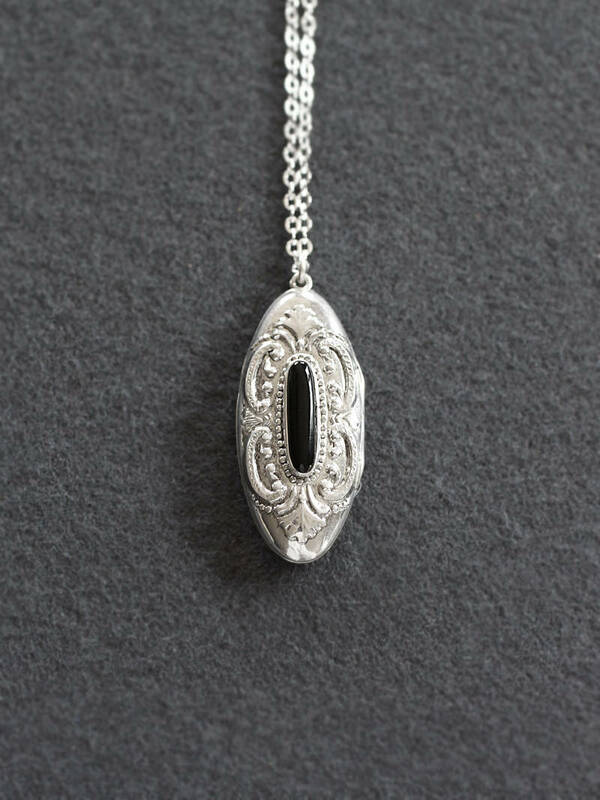 An elongated oval is embossed with a lovely French scroll pattern bordering a thin long black center. 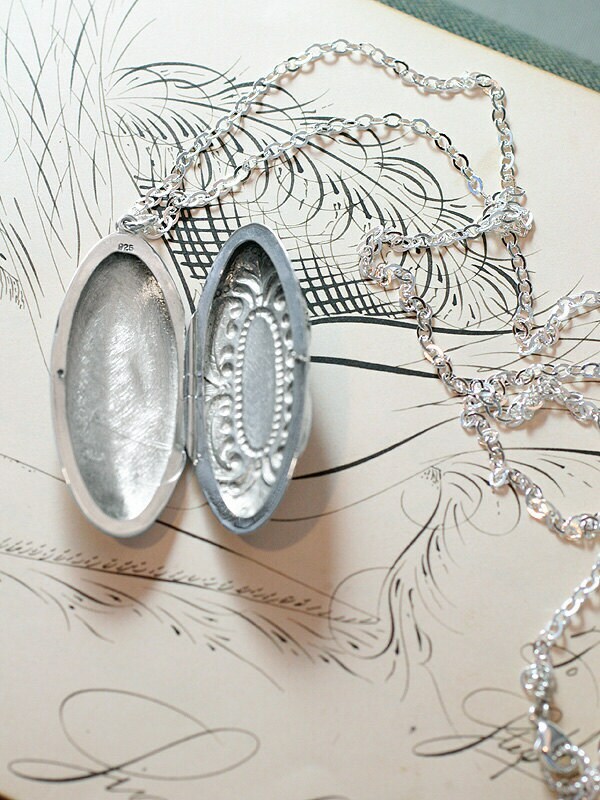 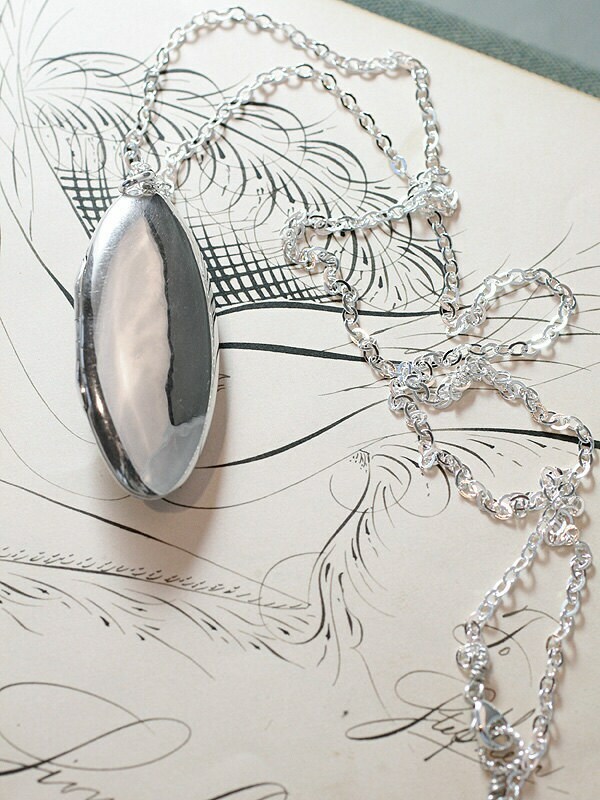 The rare vintage locket opens to reveal two places ready to hold your beloved photographs or a little trinket. 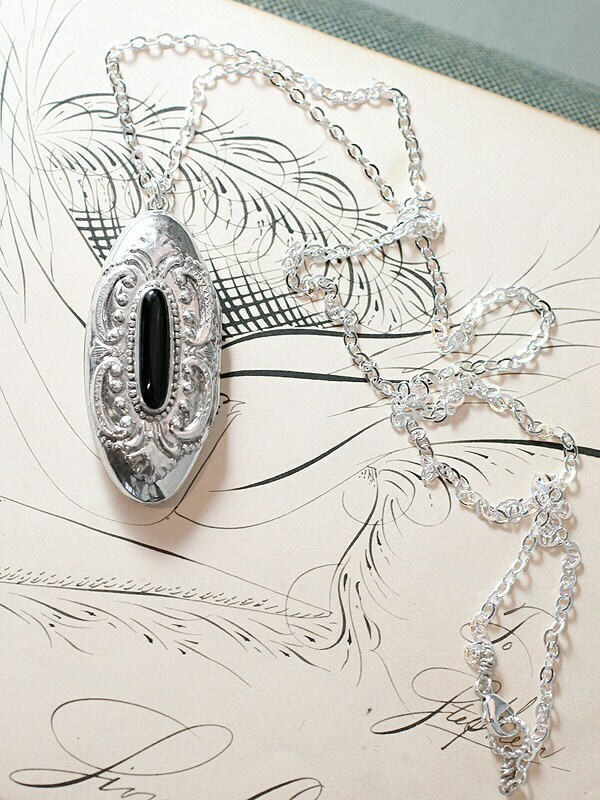 The design is set on a new long chain of sterling silver hand finished with a trigger clasp and ring.